Using flash to build a website is an SEO topic that comes up all the time. Flash can offer visitors a high level of interactivity when they visit a website – giving them a rich experience. This is especially the case with gaming websites – through an interactive video format. 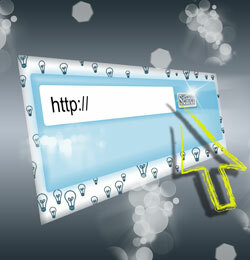 It is designed to be used as a complement to basic HTML - it is installed by each user as a web browser plug-in. Can users find your flash site? It is very common to see portfolio websites based on Flash – especially for photographers and graphic designers. And of course, there’s plenty of great Flash websites out there! Why is a site based solely on Flash a bad idea? - Flash pages frequently take a long time to load – how many visitors could you be losing in this time? In addition, the lack of unique URLs, page titles, link anchor texts and content hierarchy mean that Search Engines find it very hard to read and class these pages. Take, for example, Google Instant – on the instant preview feature, Flash elements simply won’t show – risking a blank page showing up if your site is based entirely on Flash. Lastly, even Google agrees it’s not a good idea to base your site entirely in Flash! As we’ve seen, Search Engines are extremely limited in what they can read within the Flash file – so be sure to keep any important information (text) separate. In addition, accessibility, SEO and the user-experience are often not priorities for Flash developers, as they are difficult to implement. However, it’s possible to use Flash solely for specific elements on your web page. For example, you could choose to use it for the header, a video on the home page, your navigation… This is a great compromise – as it allows you to benefit from the rich experience Flash can offer – but your website will still be based in HTML. The user will not notice any difference – but will, however, be able to access your website on any computer/ device. Yeah, I agree, Flash only sites are not practical at all, they don't rank well and can't be easily updated. Good point - they're definetly not practical from a SEO point of view - or indeed a content management perspective. Although I have to say they can (sometimes!) be quite cool.. For example, have you seen Jim Carreys site (http://www.jimcarrey.com/) ? Flash is considered an obstacle for effective SEO. It is certainly interesting to look but if you want to improve your ranking you should think twice about using it.